If you've ever paid a visit to our shop, located in the Chestnut Hill area of downtown Nashville, then you probably met this month's spotlighted staff member the moment you walked in the door. A friendly face always happy to greet customers, this guy has been a valued Woodstock team member for many years now. He's so dedicated that he actually lives at the shop 24/7. Pretty crazy, right? 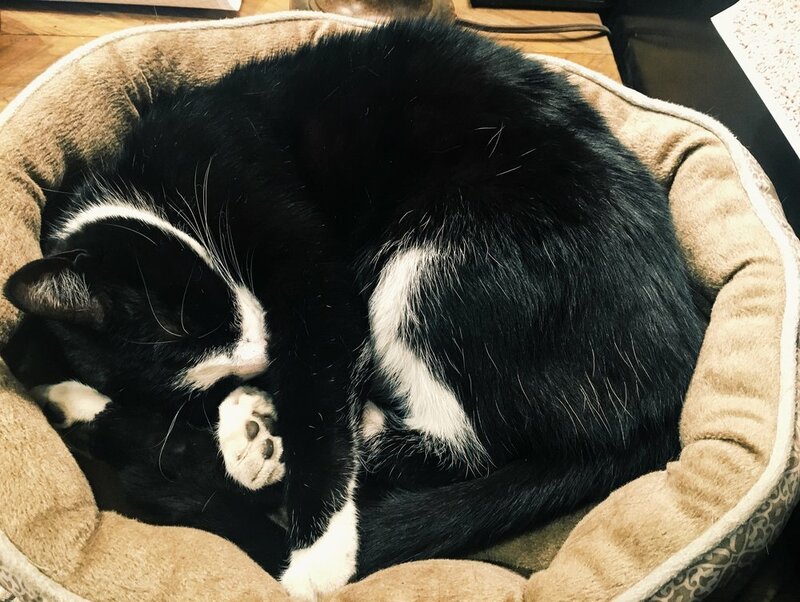 Although we find him snoozing on the job almost every single day, we always end up forgiving him because he's such an integral part of our sales team. Customers just love him. If you haven't figured it out yet, Boy is our shop cat. Make it a point to see him next time you come in... but beware, he'll most likely greet you with a leg rub and a purr.